Hello friends, Today I will tell you a method on how to change time on Windows 10, 8.1 and 7. A user can change any timezone on their Windows PC/Laptops. You can change 24-hour clock to 12-hour clock. You don’t need to download any software. 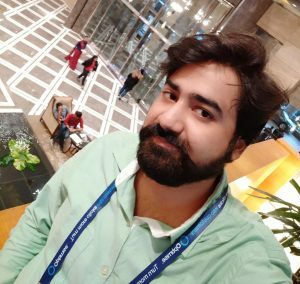 I will share an inbuilt method to change the time on the computer. If you have been a window user, then you must know about the time formats in different variants of the Windows. Every user of Windows 10, 8.1 and 7 know about the several time formats provided in different versions of Windows. Time format as the name suggests is the type of clock you wish to display in Windows. It may be in 12 hours clock or 24 hours clock. It depends upon the will of the user, how he/she would like it. Basically, in every version of Windows, the time format is 24 hours(by default). Which means after 12 o’ clock the clock will show time in 13, 14 and so on till 24. Which is quite different than showing time in AM and PM. Based on your references you can change this time format any time. I will explain some methods to change time on Windows 10,8.1,7. Many times users get frustrated with the time formats. Because some users are comfortable with 12-hour clock while others are with the 24-hour clock. For which they would like to change it. That is what I am going to elaborate, today. 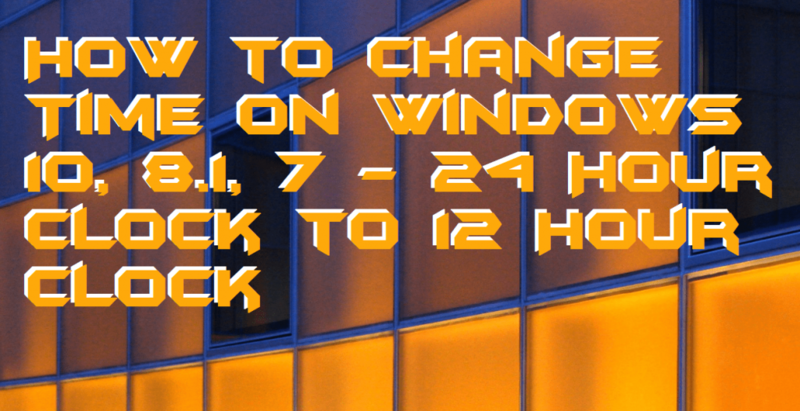 I will explain the steps needed to change the time on Windows 10,8.1 and in 7 in detail. It is because, with the latest updates and new window versions, there could be different steps to perform the same task. Which I will explain one by one. Undoubtedly, all of them are easy to perform. Therefore keep going with the post and follow these steps to change time in Windows 10 or any other version of Windows. If you are a Windows 10 user, then you must follow this method and follow the steps to change time on Windows 10. The procedure to change 24 Hour Clock to 12 Hour Clock is different in Windows 10 than the other Windows. Therefore get going with these simple steps. Type “settings” in the search bar of the Windows screen. Now close the window. Your settings or changes you made, have been saved. Surely, Now, your time format in Windows 10 is in 21 hours. This will enable you to change time on Windows 10. This section of the article is for the users of Windows 8 or so-called 8.1. We all know that window 8.1 is not similar to other Windows in many aspects. Therefore, we have explained the steps to how to change the time format in Windows 8 or 8.1, separately. Otherwise, it will lead to confusion among many users. Because there are many users of the Windows, who are still onto Windows 8.1 for some reasons. Follow these steps to change the time format in Windows 8.1. Press the Windows button from keyboard or right click on the blank space on the screen. Now different apps will be displayed. Click on the “All apps” on the bottom right corner. Look for the “control panel” and click on it. Under the clock, date and region option, click on “change date, time or number formats” option. Now, in short-time select “hh:mm tt” and under long-time select “hh:mm:ss tt”. Now go back to see the changes have been made or not. Probably, the changes might have been made. Windows 7 has been favorite of most of the Windows users, because of its easy interface and classic look. The interaction with it is quite easy, so are the options and settings in it. As compared with Windows 10 and Windows 8 or 8.1, Windows 7 settings are easier to change. So, in this part of the article, I would demonstrate the method on how to change time format in Windows 7. So, here are the steps you must follow to change the time format in Windows 7. Click on the Windows icon on the screen of window 7. Now, type the “control panel” and open it. Under the Clock, Language, and Region option click on Region and Language option. A new window will appear, here you select additional settings. Select the time tab; This will let you edit the format of the time. The default timing format is “tt:hh:mm:ss”. Edit this to “hh:mm: ss tt” under the long-time. You can also select whether AM/PM will be in capital or not. After this, close the window and see if changes have taken place or not. These were the steps or methods to change time fon Windows 10, 8.1 and 7. I have illustrated them in different segments because some steps are similar while others are not. Therefore, you will know the difference. Now, you can conveniently change time on Windows 10, 8.1 and 7.1. Share this with your friends and let them know about these simple steps to change time on Windows 10, 8.1 and 7.1. Also, let us know if this worked. If you are facing any problem while doing this then you are free to ask us by commenting below.